Doomsday: The Science of Catastrophe is a book by Fred Warshofsky,Fred Warshofsky, Doomsday: The Science of Catastrophe, Reader’s Digest Press, 1977; Pocket Books, N. Y., 1979, 260 pp. $2.25. Chapter 3, “Worlds in Collision” ISBN 067182208X. ISBN 978-0671822088 which includes a chapter on Velikovsky and his works. “Admirers of Immanuel Velikovsky will, I think, be almost equally pleased with chapter 3, “Worlds in Collision” (pp. 35-63 in the paperback edition), which gives one of the clearest and fairest summaries of “The Velikovsky Affair” that I have ever read. To be sure, Velikovskian literature is now so voluminous that even Velikovskians have difficulty digesting it. The result is that, in five of the other eleven chapters, the author makes statements which either implicitly or explicitly contradict the contents of chapter 3. 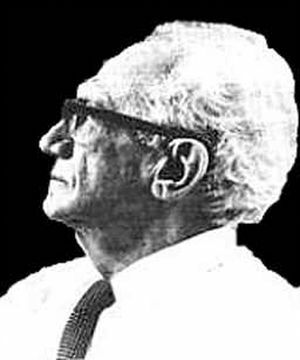 (While Warshofsky is under no obligation to accept Velikovsky’s views on all subjects, I feel that if — as appears to be the case — he finds the basic Velikovskian thesis convincing, he ought to try to inform his readers of the points on which he disagrees significantly with Velikovsky and the reasons for the disagreement. )” ..
“Various publicists such as Sprague de Camp and Theodore Gordon gave chapters over to mocking or explaining Velikovsky, but their books were not greatly affected by these chapters. One of the best of the publicists was Fred Warshawsky who wrote Doomsday: The Science of Catastrophe. Picking up Rene Thom’s mathematical topological theory of catastrophism, presumably applicable in any field, he applied it non-mathematically, heuristically, in discussing the many works trending toward the quantavolutionary outlook. He undertook with V. a couple of long sessions that curled his hair and set him straight on what to say of V.’s achievements in an article for the Reader’s Digest. Having escaped perdition, he went on to write a full book on catastrophes, ancient and modern, which was published by the Reader’s Digest Press. This company made a distribution agreement with Harper and Row, which performed so poorly with his book that Warshawsky complained bitterly to everyone and achieved some promotional effort. The company then closed down, and Harper and Row stopped selling the book, returning its very large remaining stock. Then McGraw Hill bought rights to the book for its back list, to no effect. Over 8,000 copies were sold, but 17,000 copies were “remaindered” at a pittance. The New York Times ignored the book. Some favorable reviewing occurred. It went out of print after only several years. And please to note the way in which an author’s “property” is kicked around.” Alfred de Grazia, Cosmic Heretics (1984) Metron Publications, USA. ISBN 0-940268-08-6. 3. ↑ Alfred de Grazia, Cosmic Heretics (1984) Metron Publications, USA. ISBN 0-940268-08-6.